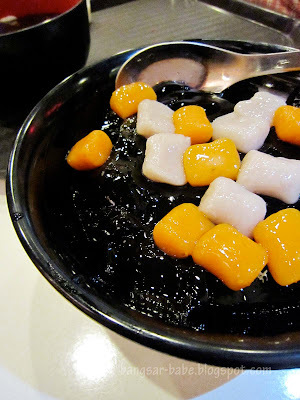 I can never understand the hype of shaved ice desserts. While they are nice to eat once in a while, the huge demand baffles me. Snowflake is one of them – the queue is ridiculous, especially in Pavilion KL. By 8pm there, most of the items would be sold out, especially the Snowflake Best Sellers. The Taroball Series (RM6.50) with red bean, peanut and sago pearls were nothing to shout about. rif however felt differently about this – he enjoyed it. 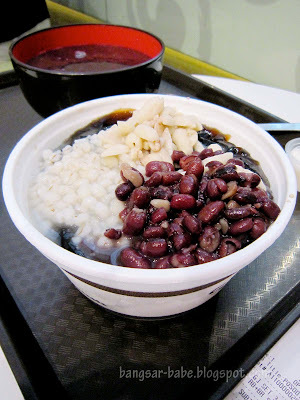 I also didn’t care much for the black glutinous rice + red bean soup + taroballs (RM5.90). It tasted like a glamourised version of red bean soup. 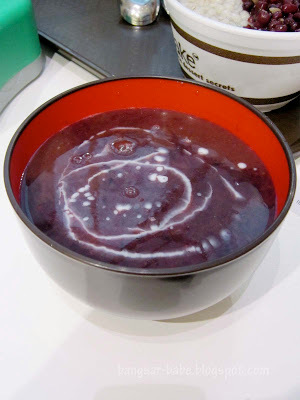 Since it was our first time trying the desserts, we accidentally added the creamer to the red bean soup. I think it was meant for the iced dessert. Our second visit to Snowflake was its Kota Damansara outlet, for the Snowflake Best Seller; both hot and cold. 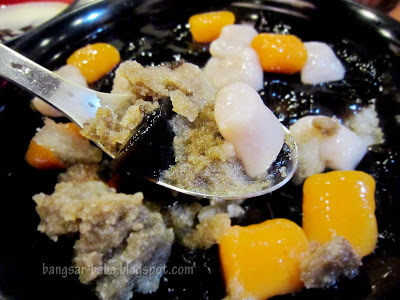 The Grass Jelly + Grass Jelly Ice + Taroballs + Creamer (RM6.90) dessert was soft and snowy on the tongue. Is it just me, or do the taroballs have a similar texture to the Hakka abacus seeds? This was the nicest of the four desserts I’ve tried. The Grass Jelly Soup + Taroballs + Peanuts + Pearls (RM6.90) was decent, but nothing memorable. 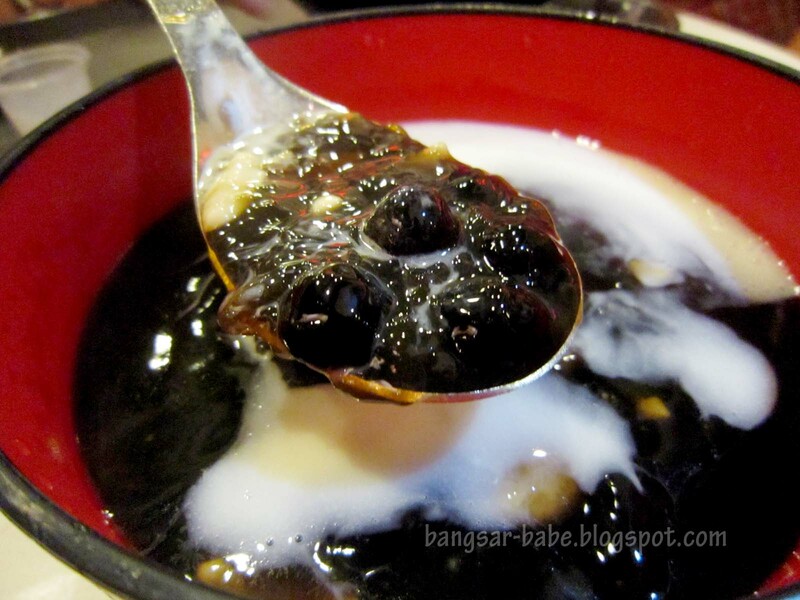 This time, rif’s mother accidentally poured the creamer into the hot dessert! rif enjoyed them both, especially the iced dessert. I’m starting to suspect he has a spot for all things Taiwanese. I would too…if the counter staff look like Wang LeeHom. Verdict: Decent, but not worth the hype. 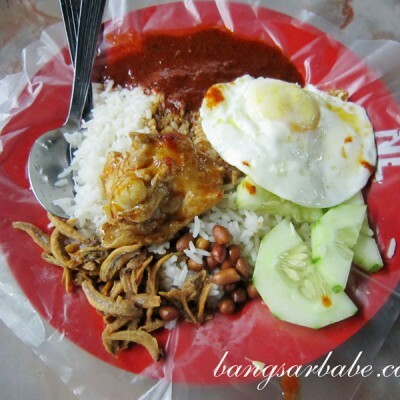 aiiyoh.. looks so good.. but not worth the hype, how come?! I saw queue here before. Scary! 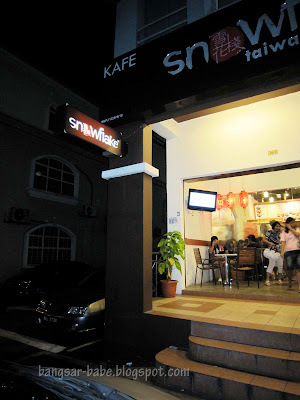 Just went there last night, the one at Kuchai Lama. 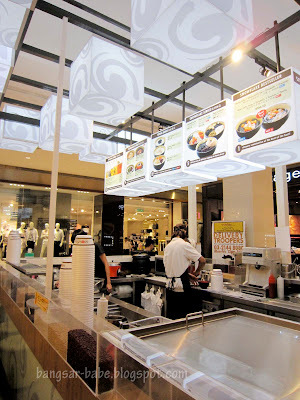 It was our second visit. 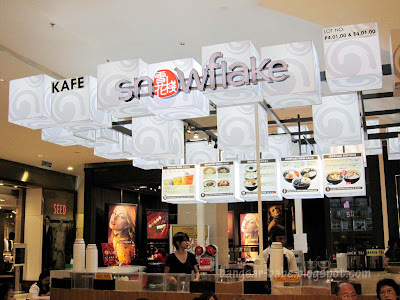 Really love the snowflake dessert. We tried the Coco Loco, it was really nice. But a bit frustrated in the queue. seriously, i've tasted once and never wanna go again and totally dun understand the long queue?! I feel the same, tried Best Seller cold once, was eating it and shaking my head, because I can't understand the hype. Didn't step foot into Snowflakes after that.